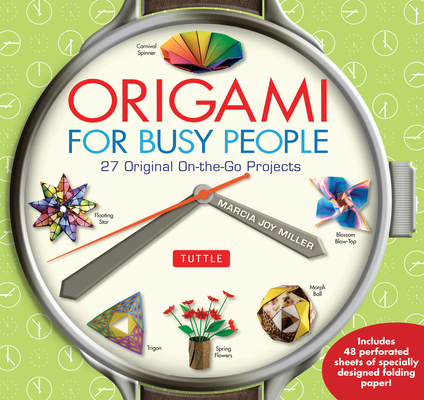 Make quick and easy origami projects with this origami book with tear-out folding paper. These fun folds are a great way to learn origami and can be used to decorate your cubicle, to create something to give to friends and family at the end of the day, to show to colleagues at the water cooler or just to use as conversational ice-breakers or as a form of mental relaxation. The ease of the folds makes it a great origami-for-kids book but the projects are interesting enough for adult beginner origami enthusiasts. Marcia Joy Miller has taught origami classes and workshops for years. Her original origami designs have appeared in numerous origami publications, and she holds membership in several origami societies. She is also an artist and photographer and has a Bachelor of Arts degree from The College of New Jersey.